The IFSQN provide a wealth of free services for our members including a vibrant discussion forums, blogs, news, files, newsletters, weekly training webinars and conferences. All of these are provided free of charge; however, some areas and features of the website are locked to guests and new members and require Premium Membership in order to access. If you would like to unlock all areas immediately you will need to purchase a membership upgrade. 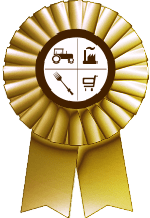 When you purchase a membership package the IFSQN Contributor Rosette will show in your profile signifying your support of the IFSQN and the good work that we do in the world of food safety!